Across your Opera 3 system there are numerous areas that store personal data, from sales contacts and payroll records through to Cashbook and CRM. Individuals whose information you hold have the right to make a Subject Access Request (SAR), asking for precisely what information you hold on them. When you receive a SAR, you are required by law to provide them with a copy of the personal data you hold on them. When it comes to responding to SARs, the requirement is that you respond in the same format as that in which the request was made. If you therefore receive a SAR by email, responding to it and providing the data you hold should also be in electronic format. Do you know where that data is stored in Opera 3? Can you easily provide them with a copy of their information, especially if it needs to be in electronic format? If the answer is No, Opera 3 Personal Data Search can help you with exactly that. Personal Data Search is a simple to use and extremely effective tool for identifying personal data in Opera 3 and presenting it in the required format, a process which would otherwise take a considerable amount of time. It will be invaluable when you receive Subject Access Requests from customers, prospects, suppliers or employees and need to locate the relevant data and provide it in either printed or electronic format. 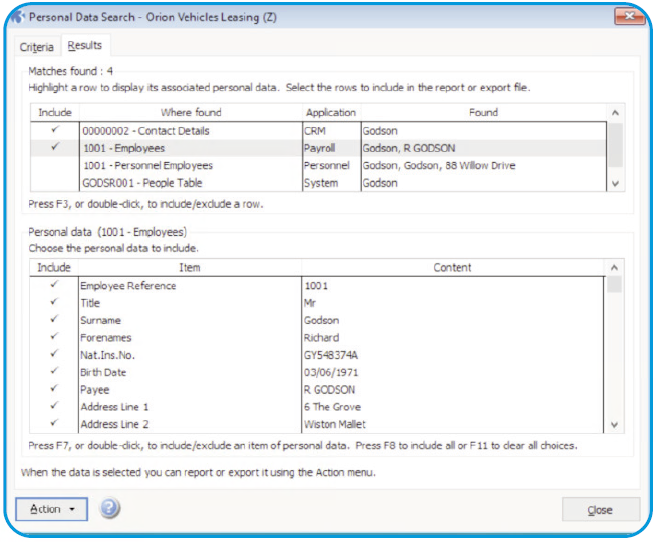 Personal Data Search is designed to help Opera 3 users locate personal data held within an Opera 3 company. 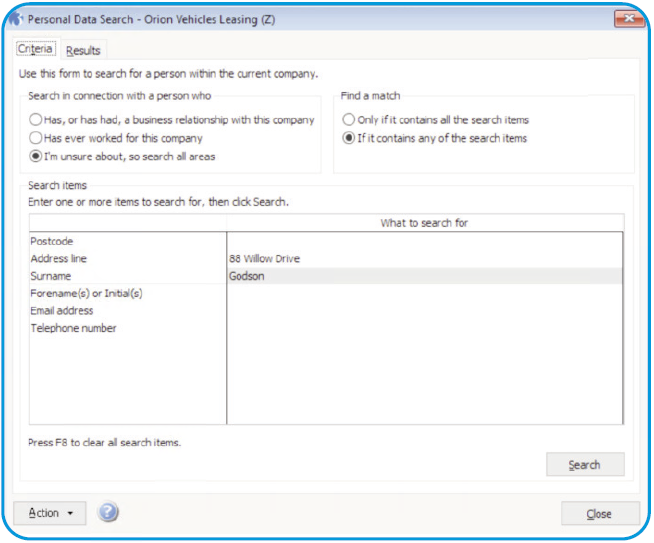 All you need to do is enter the personal information you know and Personal Data Search will scan through Opera 3 and display a list of the records that match your search criteria. You can search using a wide range of criteria, from surname, postcode and email address to address line and phone number, as well as more detailed information such as customer account code and employee reference or NI number. When you perform a search, the data that matches your search criteria is displayed alongside the related personal information such as address, telephone number, email address, etc. You can also see where that data is located, such as CRM, Personnel and so on. If your search has resulted in multiple individuals, this will help you to locate and select the correct contact more easily. You can then select which elements of this personal information to extract, and you have the option to print it, export to Excel or export as a .csv file, all of which are acceptable ways of providing the required information. 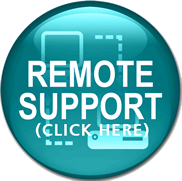 This gives you all the flexibility you need to provide data in different formats when responding to a Subject Access Request, especially if you have to provide the information in electronic format.